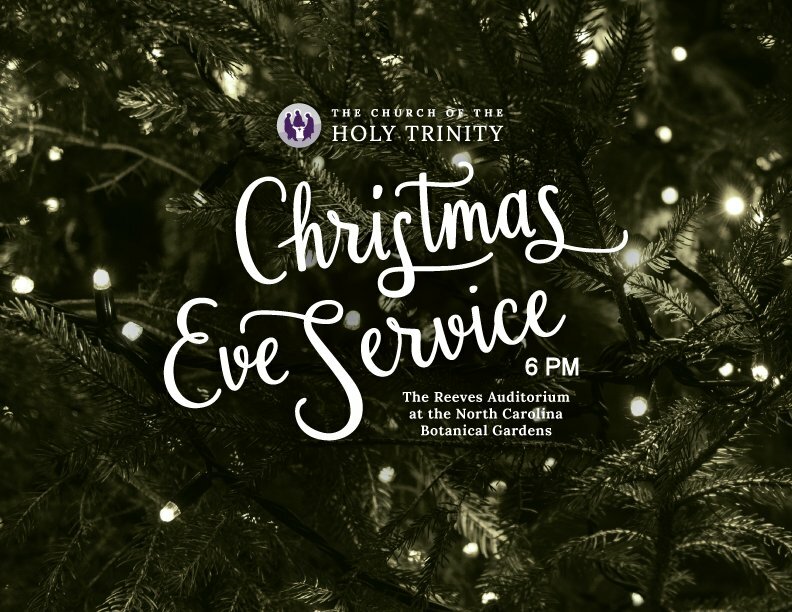 Holy Trinity invites you and your family to join us for an intimate, reverent, and joyful celebration of our Lord's birth on Christmas Eve at 6 PM in the the beautiful North Carolina Botanical Garden (100 Old Mason Farm Rd. Chapel Hill). You can expect readings from God’s great story of salvation, lots of Christmas carols, Holy Communion, Christmas cookies, and gifts for all who come! Holy Trinity is a vibrant, liturgical church with a growing, multi generational congregation. We seek to worship God — the Father, the Son, and the Holy Spirit — and to proclaim the good news of God's love in Word, Sacrament, and Deed. Find out more about us at holytrinitych.org. Christmas Day — In addition to Christmas Eve, join us for worship on Christmas Morning at 9 AM in the NC Botanical Garden. Come worship the great Giver before you get to the gifts. Holy Name — Sunday, January 1st is the Feast of the Holy Name when the Church commemorates the naming of Jesus. Join us as the season continues, with the Christmas liturgy, messages, and carols. Other Special Days — Christmastide is full of feast days. Here is a guide with readings and reflections for the coming season.